Former UK MoD officer Nick Pope, who once worked behind the UK's official UFO files desk, talks about the newly released UFO files by the National archives. I love his enthusiastic nature and he is rightly so - the new files have startling revelations about the UK governments interest in UFOs. Not only did they want to know what the purpose of UFO visitations were, they also went as far as to brief government ministers who were asking questions about the phenomenon at the time, like former prime minister Tony Blair. Once again the 25 new files released this July by the National Archives are available here to read for yourself, please take time to read through these files. 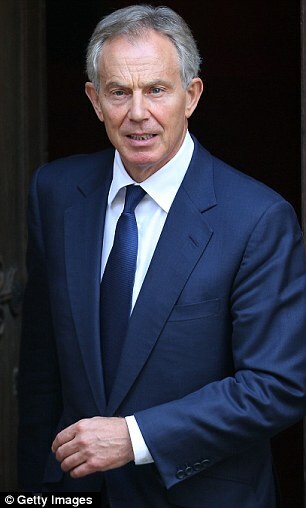 Tony Blair was so concerned about the disclosure of classified information on extra-terrestrials when he was Prime Minister he received a full briefing about UFOs from the Ministry of Defence, it has emerged. Mr Blair asked the Ministry of Defence for their policy. In a lengthy reply, staff told him the ministry “has only a limited interest in UFO matters” but that they “remain open minded” about the existence of “extraterrestrial lifeforms”. ..."only a Limited interest in U.F.O. matters",..yeah RIGHT,!!!!! the fact they may give out New Tec.- New Power sorce - and the existence of God,does'nt interest them,!!!!! !...still taking the General Public for Brainless Shells,there is NO WAY any Government is going to say something like this and hope to be taken seriously. over the "nuclear missile silos" and deactivated them. Would the Govenment have an explanation for some Disclosure? or would it say:)UFOs do not exist! while the US. is looking at this huge thing above the WhiteHouse. Nick Pope is a fake and a disinfo agent. When the MoD shut down its UFO reports office this former letter-opener suddenly embarked on a career as an 'expert'. In fact, he's winging it. Several times he's commented on obvious hoaxes using words like "one of the best cases I've ever seen". Remember the gas station parking lot video from some time ago, the one that was soon proved a complete rendering, down to the individual trucks? In Nick's opinion that, too, was one of the best cases he'd seen. And now he's on record as having admitted to Rich Dolan that the dire 'prediction' he made of an 'alien presence' and possible combat during the London Olympics was nothing but a marketing ploy for an upcoming video game. This bloke should be disregarded. error, we all make from time to time, even in our comments! Politicians, have "WE" voted in, get it rong?...Who has made the BIGGEST MISTAKE? THEM or US??? YOU KNOW THIS!!! Maybe,this is why we are not getting Disclosure........?